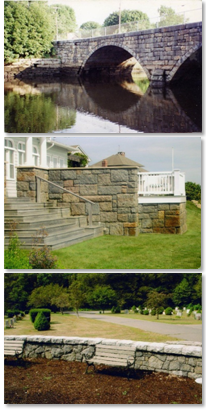 Earthworks Constructors, Inc. is one of Cape Ann’s leading residential and commercial landscape design companies. For almost three decades, the professionals at Earthworks have worked to maintain its core principles of commitment, creativity and service. These principles continue to inspire us with each and every project. We work hard in ensuring that your landscape needs are ecologically sound and architecturally connected to its immediate surroundings. Our mission is to provide the homes and business of the Cape Ann area with a beautiful, as well as functional environment for work and play. Experience, dedication and creativity are the tools we bring to each job. Earthworks Constructors Inc also offers the highest quality historic site preservation and restoration services in the Gloucester, MA area. Since 1980, we have assisted engineers and site developers in protecting a number of public spaces from damage and destruction. Making sure our history is preserved is a service that is very close to our company's heart. We have been working hard to restore libraries, churches, and other historical sites and structures, keeping our area's history alive. Earthworks Constructors, Inc believes that a quality job begins with quality people. We pride ourselves on quality workmanship, reliable and consistent service, and superior dependability. We look forward to a long working relationship with all of our clients.